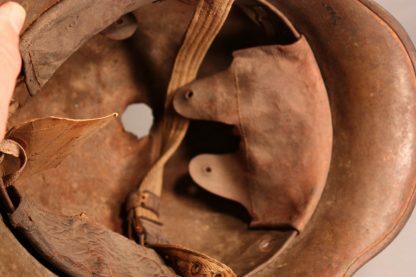 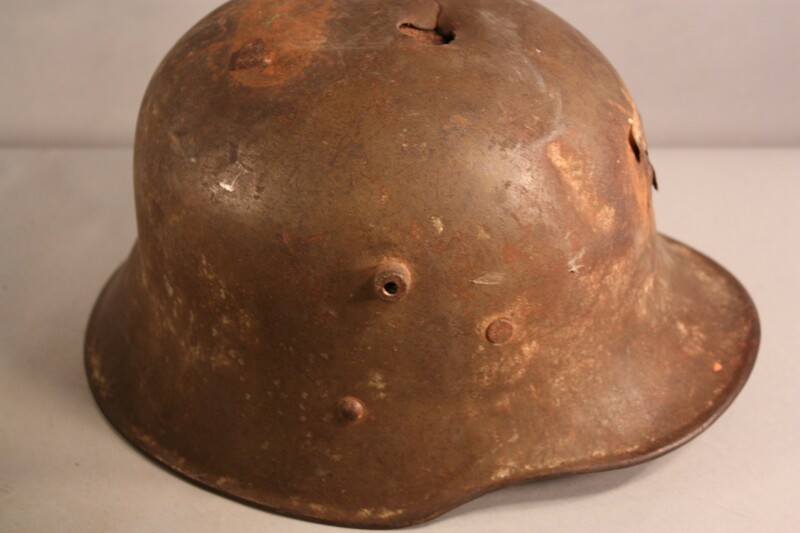 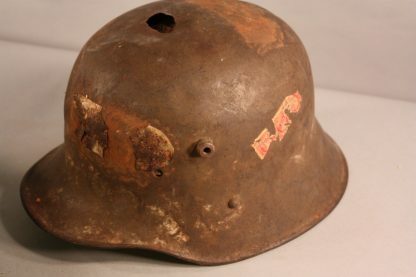 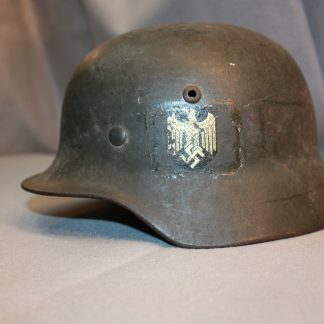 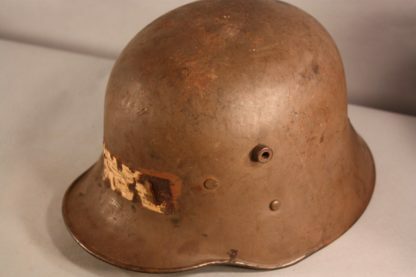 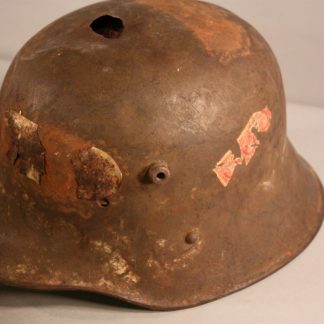 Austrian Send Home Helmet w/ Battle Damage – Military Collectibles, Inc. 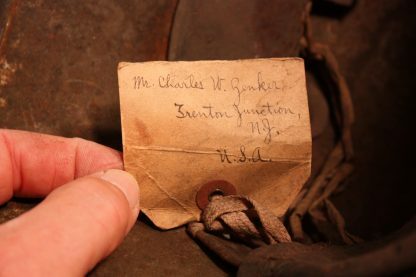 The interior has the address of the receiver from Trenton Junction New Jersey. 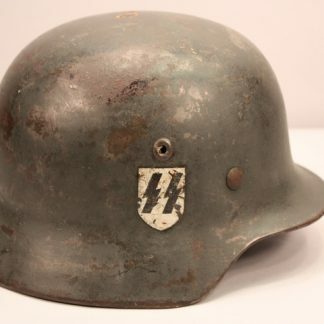 Has a full chin strap and has all of its liner. 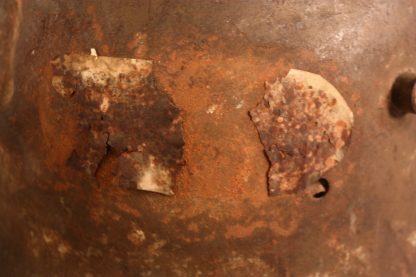 The exterior has remnants of the stamps used to send home and trace elements of the exterior label. 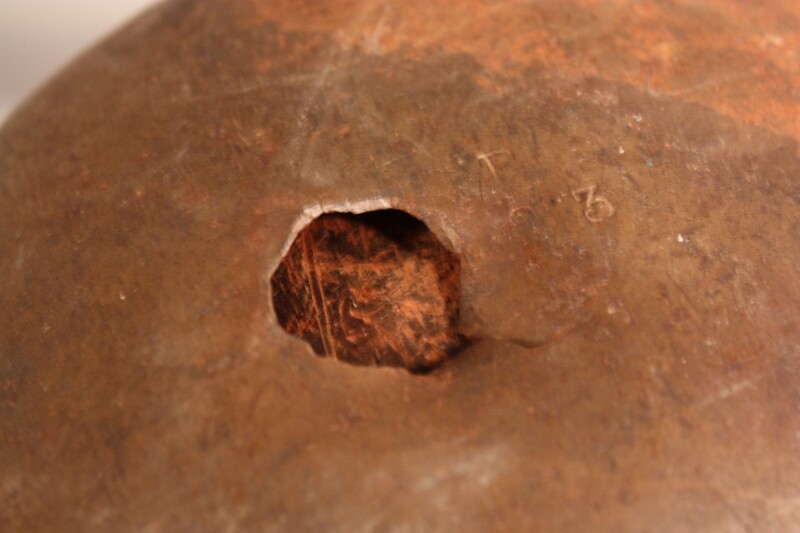 It also has a big bullet hole in the dome. Has the steels going inward, more than likely suffered from an actual battle hit. 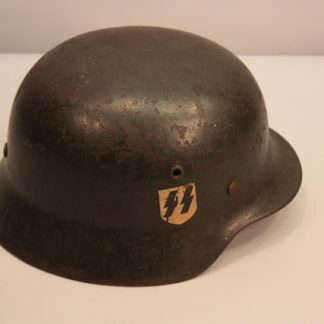 This helmet also came with he00019.